Karl Marx was not only the great theorist of capitalism; he was above all else a revolutionary. In Paris in 1844 he made the connection between radical philosophy and the proletariat that would guide his future work, first with the Communist League and later with the International Workingmen's Association. Marx's Political Writings display a profound understanding of history and politics that is still relevant to the very different conditions of today. Volume 1: The Revolutions of 1848 Marx and Engels had already sketched out the principles of scientific communism by 1846. Yet it was from his intense involvement in the abortive German revolution of 1848 that Marx developed a profound practical understanding he would draw on throughout his later career. 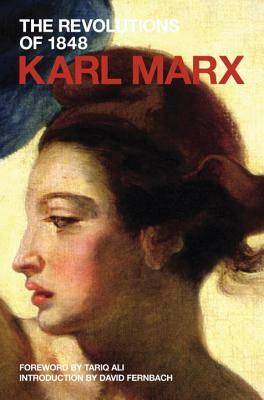 This volume includes his great call to arms The Communist Manifesto and also demonstrates Marx's unsuccessful attempt to spur the German bourgeoisie to decisive action against absolutism. His articles offer trenchant analyses of events in France, Poland, Prague, Berlin and Vienna, while speeches set out changing communist tactics. Karl Marx was born in 1818, in the Rhenish city of Trier, the son of a successful lawyer. He studied law and philosophy at the universities of Bonn and Berlin, completing his doctorate in 1841. In Paris three years later, Marx was introduced to the study of political economy by a former fellow student, Frederick Engels. In 1848 they collaborated in writing "The Communist Manifesto." Expelled from Prussia in the same year, Marx took up residence first in Paris and then in London where, in 1867 he published his magnum opus "Capital." A co-founder of the International Workingmen's Association in 1864, Marx died in London in 1883. Tariq Ali is a writer and filmmaker. He has written more than a dozen books on world history and politics--including "Pirates of the Caribbean," "Bush in Babylon," "The Clash of Fundamentalisms" and "The Obama Syndrome"--as well as five novels in his Islam Quintet series and scripts for the stage and screen. He is an editor of the "New Left Review" and lives in London.